For every bundle purchased, we will donate an additional set on your behalf. What is the 'Feel Good Bundle' all about? Look great, stay warm and help save lives. There are tens of thousands of homeless people across Canada who are struggling to stay warm during these Winter months. We've already handed out over 400 socks, scarves, and hand warmers to people struggling to survive through this extra cold Canadian Winter. But we don't want to stop at 400. For every Feel Good Bundle we sell, we will donate an additional set to people in need in our communities. 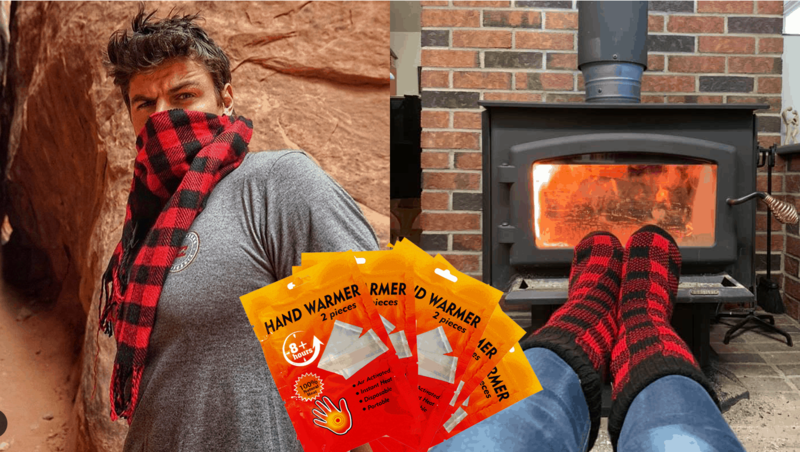 You get to save 11% off the retail price, and get to feel good knowing you are personally helping someone stay warm this winter. That’s $167 worth of items for only $74.00. Remember - When you purchase this bundle, you will also be helping somebody less fortunate stay warm. For each bundle ordered, we will donate one to someone in need.